The family of the diseased, sick or infirm would request the services from the Accabadora; her services not rendering a dime, because to pay for death is considered a superstition. There are several different styles which the Accabadora used to kill the diseased; suffocation, strangulation and the most widely used method is that of the cudgel. She would swing her cudgel to the forehead, or to the back of the neck with such force to cause immediate death. There is only one Accabadora per generation and she is always a woman. The justification for La Accabadora is that only a woman can bring life into the world, so only a woman can take it away¹. The practise of the Accabadora is thought to have continued in some Northern Sardinian communities until the late 1970’s. ** I have not heard any first hand details about the Accabadora. This post was written from information I gathered from the internet and from my keen interest in Sardinian myths, mysteries and folklore. Now that the Accabadora is on my mind, I will seek out some of my local friends to hear their versions of this dark tale. Is La Accabadora a Sardinian myth? Or does the Accabadora truly exist? Hi Jennifer, thank you for this article. We ourselves are also very interested in all the traditions and myths of Sardinia. We have visited il museo etnografico a Galluras (very interesting) and bought the book Antologia della Femina Agabbadora of Pier Giacomo Pala. We also read the book ” De Accabadora” of Michela Murgia (in Dutch) I also saw a trailer of a film, I will sort that out and will share the link. Thanks for your great comment, Lilly. I’ve asked a few of the ladies around town and they are shocked by the question and haven’t really spoken about it. 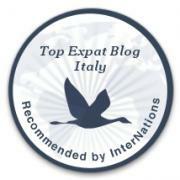 I read an interesting by Michela Murgia http://www.einaudi.it/speciali/Murgia-Accabadora. It’s very much a hush hush topic here from what I’ve gathered. Amazing! I’m not sure I like the sound of the cudgel, but who am I to question the method? Oh well done Jennifer. What a terrific piece of sardinian history to have uncovered and shared. love it…love it !!! Thanks Jo. It wasn’t until I did some research that I found out about the Accabadora. I’ll be asking the ole ladies in my street for some tales. Totally fascinating. Who would have guessed such a figure existed? molto interessante! sicuramente quest’estate visiterò il museo galluras! La sardegna è davvero ricca di questi miti e tradizioni! Grazie. Se passi Trinita vengo anche io! 😉 Vorrei a vedere il museo! Thank you for your great comment. I agree with what you’ve said, that dying with dignity without suffering is something most of us desire. But, in reality, it seems not to be our final decision. I just discovered the Accabadora and am really intrigued by her. I watched the video in the link you’ve provided just yesterday. It’s a really interesting story and I’m looking forward to my next visit to Luras. Also, nearby there are the Millenarian Olivastri: 3 thousand years old trees! You can find them nearby Luras on the side of the Liscia Lake! It is an awesome place to see, the atmosphere leaves you without words! I’ve seen the Millenarian Olivastri! Sono molto grande, wow! I have to go again one day to take better pictures.